Can you see them now? Most Metro Transit Police officers will soon get a major style (and visibility) upgrade. 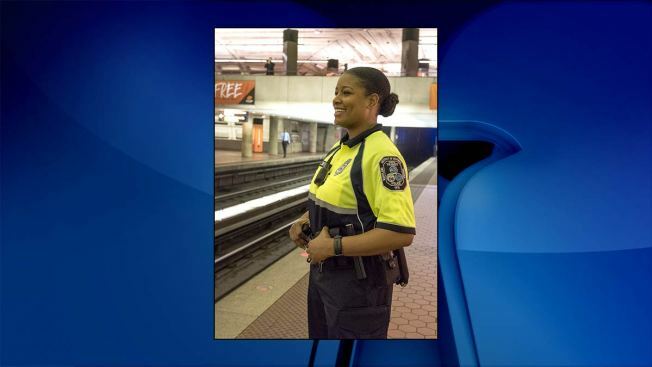 The officers will be switching to a brighter uniform that will be easier for passengers to see on busy, crowded platforms, Metro announced Friday. The uniform will feature a neon yellow and black design with reflective trim, which will be much brighter than the officers' current, dark navy blue uniforms. Metro said the current uniforms can be tough to see in crowded situations or dim lighting. The uniforms will make their debut this summer. Metro said the new look is one of several steps the Metro Transit Police Department (MTPD) is taking in response to safety concerns. Metro said officers are also stepping up patrols on buses and trains and in stations, and are setting up "power hour" deployments to raise the number of on-duty officers by overlapping day and evening shifts on some days. "Customers told me they wanted to see more uniformed officers on buses and in the rail system," said Metro General Manager Paul Wiedefeld in a release. "The fact is, in some cases, riders sometimes couldn't see MTPD officers even though they were there. These new uniforms will go a long way toward making our officers stand out and give customers some more piece of mind when riding Metro."